Rebecca Homes Limited comprises of a care home called The Mount which is based in Yoxall, Burton on Trent, The Mount provides residential care for adults age eighteen years plus (17 years of age are considered depending on circumstances) who have learning disabilities and/ or behaviours of concern and/ or mental health conditions. The care home also supports individuals with autism. The care home provides long term residential care, short term residential care, respite and day services. The home has 11 registered bedrooms with the Care Quality Commission. Rebecca Homes also offers community support for adults and children age eight years plus. We offer support in the community and individuals own homes. However this is not a registered service therefore we cannot provide personal care. We provide activity support in the community and monitoring individuals in their homes often giving parents time away so they can complete their own tasks such as shopping. As well as offering a care home called The Mount and community support service, Rebecca Homes offers a very spacious four-bedroom house which offers short to long term rental minimum one night stay this house is called Cedar House. 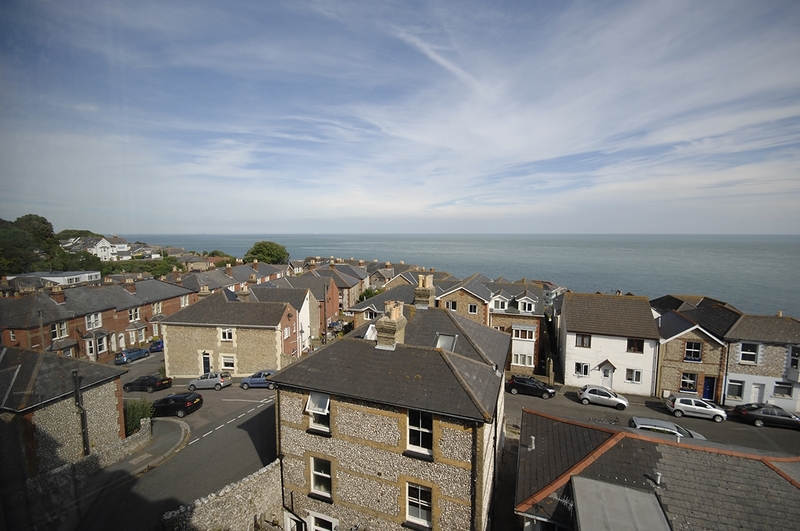 Finally Rebecca Homes offers a holiday home in Ventnor Isle of Wight for the people we support to use, associates of Rebecca Homes ltd and the public. This house is called Mount Seaview. If you are interested in the care home or the community support service a manager would need to come out and complete an assessment to see if Rebecca Homes can meet the individuals needs. To complete an assessment we normally talk to the person supporting the individual currently, if possible the person themselves, social services, past placement if necessary and anyone else that we believe can provide information for the assessment such as GP. If you are interested in our home in Cannock called Cedar House please call. If you are interested in booking the Isle of Wight holiday home please call or email and ask if the dates you would like to book are available. If you are interested in any of the above services please phone Rebecca Homes Limited on 01543 472081 or 01543 473819. Please ask for the Business Manager, Care Manager or the Team Leader or alternatively please email contact@rebeccahomesltd.com. A people we support guide can also be posted to you upon request. Anyone interested in The Mount care home or Cedar House are welcome to book a viewing if available. 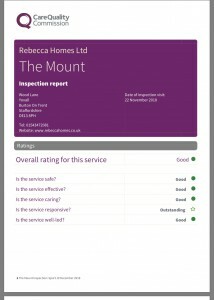 Rebecca Homes Ltd is a family run company which has been running for 16 years and the ethos is to provide high quality services to meet the needs of individuals of whom require our assistance. We strive to improve in every way possible. The company is unique through flexibility of care and willingness of management to adapt to meet the needs of individuals using our services. The approach can be achieved through the Company being small and the people working within the company have a willingness to adapt and listen to what is needed rather than the people we support fitting around the company needs. 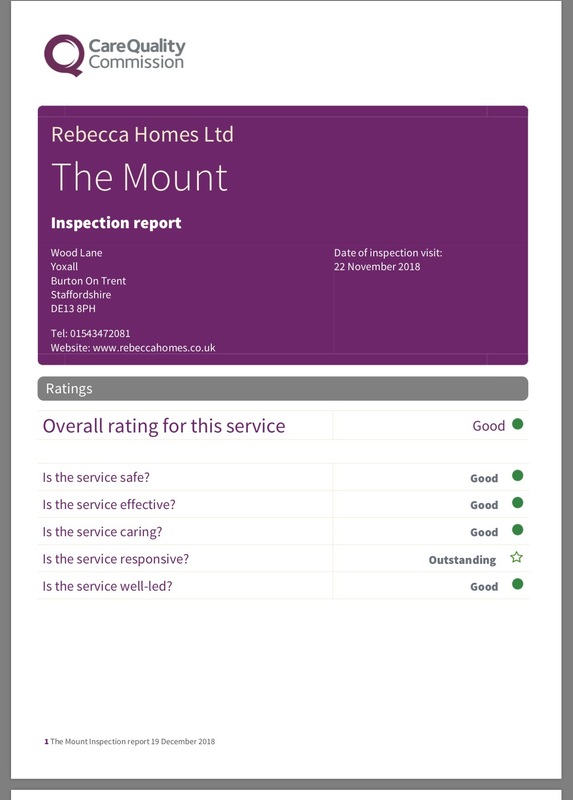 The last four inspections met CQC standards, found The Mount care home met the standards of quality and safety that they reviewed. The Mount has been visited by a Care Quality Commision inspector on the following dates. Copies of the inspection reports are available in the office or we are happy to provide a copy. Click here to download our latest inspection report.